A normal walk pattern in dogs is the movement of each leg individually with diagonal pairs of legs moving almost together in an even rhythm. Example: left hind leg and right front leg move forward and touch ground followed by right hind leg and left front leg. Some dogs use a pacing walk where left front leg and left hind leg or right front leg and right hind leg move together. In both the normal gait and pacing walk, the hind paws hit the ground a fraction before the front paws. In conformation show rings, judges will penalize some breeds for the pacing walk. Other breeds such as Old English Sheepdog, English Springer Spaniel, Neopolitan Mastiff, are not penalized as this can be an inherited gait. Veterinary chiropractors are familiar with and see variations of the pacing gait. The determination must be made if the cause is due to injury or degeneration. Pacing gaits can have different causes – conformation, age, weight, fatigue, injury, natural to certain breeds, uneven growth stages in puppies. Some dogs will use a pacing gait to match their handler’s slower walk. A dog who is ill may start pacing. It’s important to have any change in your dog’s gait looked at by the vet as it could indicate pain and/or a physical problem. 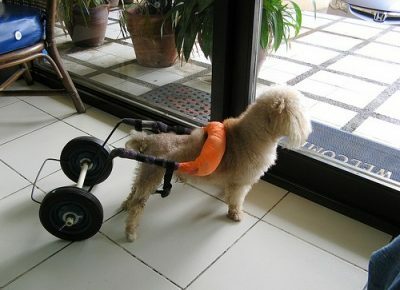 Just as we humans do when in pain, dogs will adjust their gait in order to find relief. This in turn puts pressure on other parts of the body creating more problems. 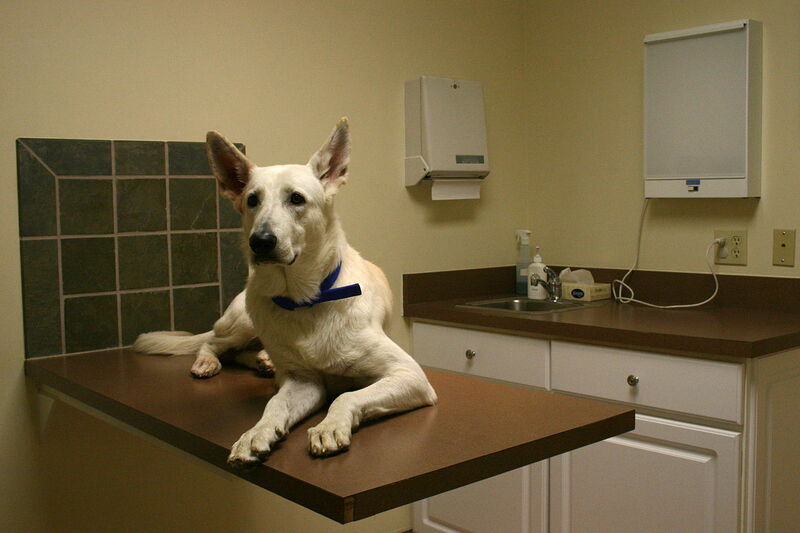 Spinal abnormalities can affect a dog in other ways besides gait and feeling pain. The spine is part of the central nervous system and comes down from the brainstem. Other muscles and organs can be affected as well as changes in behavior. Where spinal degeneration is involved, discuss with your vet some treatments that are available – chiropractic, acupuncture, acupressure, TTouch, water exercise, maxabustion ( applying heat to acupuncture points), herbs and flower essences.